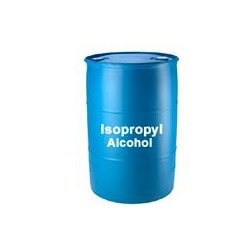 Prominent & Leading Manufacturer from Bengaluru, we offer isopropyl alcohol. Banking on our rich experience, we are supplying and trading Isopropyl Alcohol to our valued customers. The offered solvent is extensively demanded owing to its precise composition, longer shelf life and effectiveness. It is used for dissolving a wide range of non-polar compounds and as an intermediate for carrying out various commercial chemical reactions. Solubility Easily soluble in cold water, hot water, methanol, diethyl ether, n-octanol, acetone. Insoluble in salt solution. Looking for Isopropyl Alcohol ?